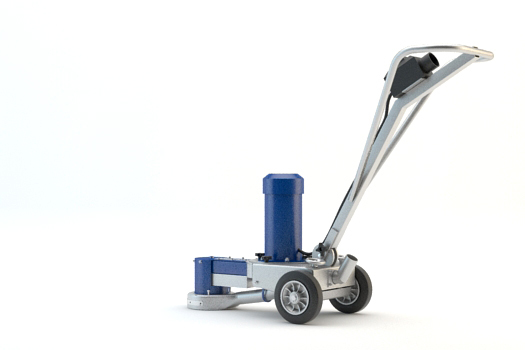 The Blastrac BG-180EC concrete grinder is specifically designed for edge and corner grinding applications. Blastrac BG-180EC allows operators to process corners and edges whilst in a standing position, which makes life more comfortable, to work easier and faster.Blastrac has designed a full range of diamond products, which gives the opportunity to process any floor and specific application with the BG-180EC. Ø180 diamond cup wheel BG707107BL – Designed for soft floors / materials. BG707108GR – Designed for medium floors / materials. BG707106RD – Designed for hard floors / materials. Ø180 PCD cup wheel BG707198 / BG707198SR – Designed to remove elastic materials. Ø180 turbo cup wheel E01401 – Medium bond with a special segment pattern, for a more even grinding surface.